This article appeared in the March/April issue of NW Palate magazine. Forget Captain Crunch. Even Tony the Tiger couldn’t entice me, no matter how loud he roared. Snap, Crackle, and Pop made too much noise first thing in the morning. Pancakes? Too much fuss. Fried eggs and bacon? Meh. What I loved for breakfast as a child was toast slathered with butter and smeared with my mother’s homemade jam. She was a whiz, cooking up pots of strawberries, raspberries, peaches, and pears and pouring them into jars large and small that were saved from the ones we’d emptied the previous year. Opening a jar of her strawberry freezer jam was like an explosion of distilled summer, with its bright red color and deep, rich strawberry flavor. Wherever I travel, I try to bring back a few jars of local jams and preserves, made from fruit grown in the area, to extend my trip just a little bit longer, if only for as long as it takes to have breakfast. 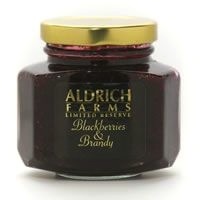 The organic fruit in their Blueberry and Raspberry Pinot Noir jams is grown on the winery’s estate near Eugene and infused with their outstanding wines. 9 oz., $8. Available online or at the winery. Master “jammelier” Lynnette Shaw makes low-sugar, artisan jams from Willamette Valley fruit. Most interesting is her Mostarda di Carlton Apple, a traditional Italian condiment that’s more like chutney—a tasty accompaniment to sausage or roasted turkey. 9 oz., $8. Available online and at the tasting room in Carlton. Chef Stephanie Pearl Kimmel, founder of Eugene’s revered Excelsior Café, now owns Marché Provisions in the 5th Street Public Market. 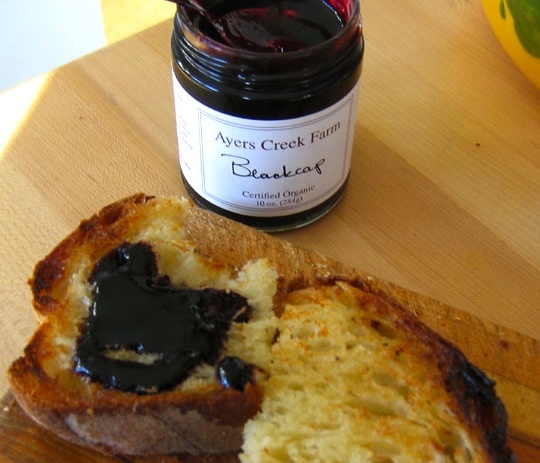 Her berry jams and pear butter are made from all-organic local fruit. 9 oz., $6.50. Available online and at the store. A budding project of four Portland women, the collaboration has cooked up Southern-inspired preserves, from fig to brandied plum, plus a few enticing relishes—Sunchoke, Pear and Meyer Lemon, and Heirloom Beet and Fennel. 8 oz., $8–$9. Available online and at some Portland retailers. If it’s heirloom, orphan, or rare, farmers Anthony and Carol Boutard will try to grow it on their farm near Gaston. Look for Damson plum, Loganberry, and Italian Prune. Oh, and their blackcap jam also qualifies as a marital aid. 8 oz., $6. Available at the Hillsdale Farmers’ Market and online at Portland-based specialty food store, Foster & Dobbs. A collaborative effort of several growers around Mt. Hood, these jams use less sugar than traditional recipes, allowing the full flavor of orchard fresh fruit to shine through. 12 oz., $6.50. 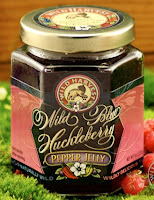 Available online and at specialty food stores around the Northwest. The Penningtons started as flower growers in Colorado before moving to Oregon’s Applegate Valley to start a 90-acre berry farm and bakery. Their Strawberry/Rhubarb is pie in a jar. 16 oz., $6.50. Available online and at area specialty food stores. Seven years ago, farmer Bob Wilt’s diabetes led him to shift his farm to organic growing methods. His blueberry jams, spreads, and preserves are made with as little sweetener (evaporated cane juice) as possible for health and flavor benefits. 10 oz., $5.95. Available online and at specialty stores in Oregon and Washington. The Martin family started making jams for themselves and their friends. Fifteen years later, their low-sugar preserves and butters, all made with Washington fruit, are in demand all over the state. Try the Montmorency Cherry Jam, made with a unique variety of tart pie cherries. 7 oz., $5.25. Available online and at select stores. These jellies and preserves are a celebration of Whatcom county fruit. Check out the Cranberry Pepper and Blackberries & Brandy. 5.5-12.5 oz., $4.95-$7.95. Available online and at various area farmers markets. It’s best to leave the berry picking to the professionals, as bears and cougars love them too. These jams are made from hand-gathered mountain huckleberries, blueberries, blackberries, gooseberries, lingonberries, and black currants. 8 oz., $8.95. Available online and at stores statewide. Dale Nelson, a chocolatier by trade, also makes some fine fruit jams and preserves. Rare finds: Golden Raspberry, Gooseberry, and Mimosa Marmalade. 9 oz., $7.75–$9.75. Available online and at his store at Seattle’s Pike Place Market. This fourth-generation farming family in the heart of Skagit Valley grows their own berries and processes them into jams. Try the Tayberry, a cross between a loganberry and black raspberry. 12 oz., $4.95. Available online and at their market stand in Burlington. On their historic five-acre farm in Auburn, Clarissa and Doug Cross have made a living growing and making jam from some of the tastiest blueberries in the state. 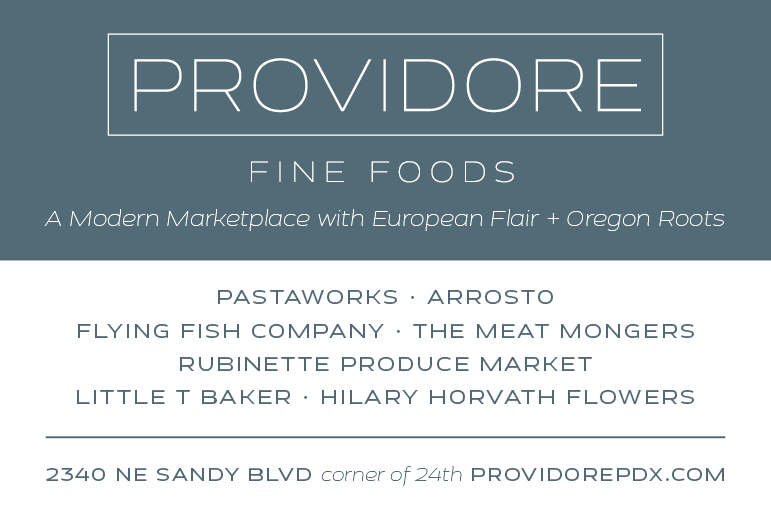 Available online and at their Pike Place Market store. 11.5 oz., $7. It’s refreshing in this day and age when a company says, “We don’t put ‘JUNK’ in our jars,” meaning unequivocally no preservatives, additives, or food coloring. Their product line includes intriguing flavor profiles such as Apple Rosé Wine and Beer-Blasted Pepper. 8.7 oz. (260 ml), $9.50 CDN. Available online year round and from June through October at the Kelowna, B.C. Farmers & Crafters Market. To accompany their award-winning baked goods, this Vancouver-area bakery makes a selection of cool jams in flavorful combinations like Plumbleberry (plums with mixed berries) and Pear with Balinese Vanilla. 8.4 oz. (250 ml), $7.95 CDN. Available at the bakery and online at Edible BC. A 100%-organic line of preserves created by two BC chefs from the Okanagan, Dana Ewart and Cameron Smith. Try their Blood Orange Marmalade, Red Haven Peach, and Coronation Grape. 8.4 oz. (250 ml), $7.95 CDN. Available online and at the retail location of Edible BC, at Vancouver’s Granville Island Public Market. Great with pork or as an accompaniment to blue cheese, the Turkish Fig confiture is made with the excellent walnut wine also produced on the farm. 7.75 oz. (770 g) $8.95; 14.1 oz. (400 g) $14.95. Available online, at their farm store in Langley, B.C., and at Edible BC. Caterers Patrick Brownrigg and Beverly Child make a pair of sweet-meets-savory flavors: balsamic jelly [8.4 oz. (250 ml), $6.95 CDN] and red pepper [2 oz. (55ml), $2.95 CDN]. Available at Edible BC. Andrea McFadden started growing lavender when she inherited her father’s declining apple orchard. Now she captures the flavor of summer in lavender jelly—the best thing ever with lamb. 4.2 oz. (125 ml), $5.95 CDN; 6.4 oz. (190 ml), $8.95 CDN. Available online and at Edible BC.